That’s just one of the many improvements to a golf facility that looked headed to becoming another casualty. 3M had purchased the site in 1958 and opened Tartan Park Golf Course five years later. In 2014, it was opened to the public, but a year later declining golf revenue and a changed corporate culture led 3M to shutter the recreational getaway. Suitors lined up to convert the 27-hole facility 10 miles east of downtown St. Paul into big-box retail, a casino, or another residential community: The land had become extremely valuable as suburban housing in the Twin Cities crept eastward. 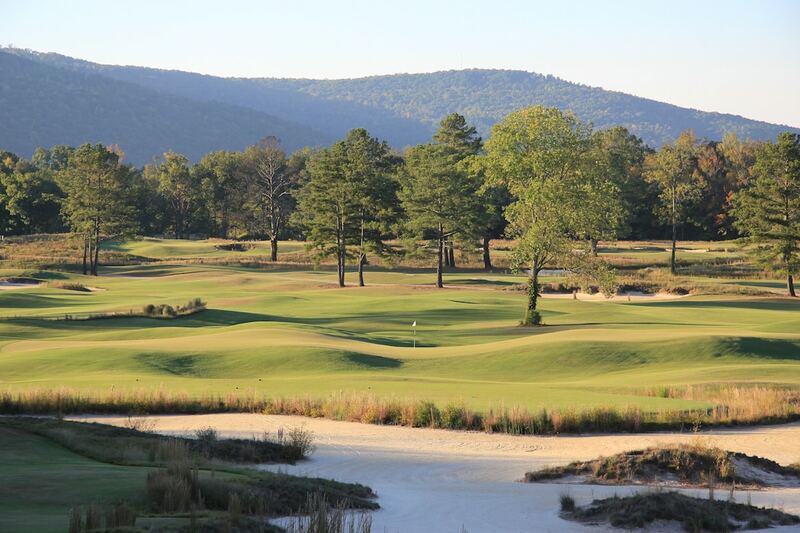 build a new 18-hole course and six-hole par-3 course there. 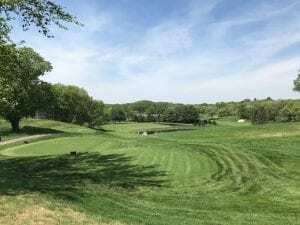 Thad Layton, a vice president and senior golf course architect at Arnold Palmer Design Co., says Tartan Park is a prime example of why distressed properties should consider all options before closing. 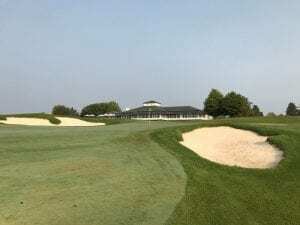 “There may be opportunities to bring a golf course architect or a land planner to look at a way to reconfigure the golf and provide some additional land to develop, perhaps as real estate,” Layton says. Cavner—who with Palmer had spearheaded the nearby TPC Twin Cities, home of the 3M Championship on the PGA Tour Champions and beginning next year a PGA Tour event—had eyed Tartan Park for some time. The rolling topography winds through thickets of pine and oak forests, wetlands and lakes. 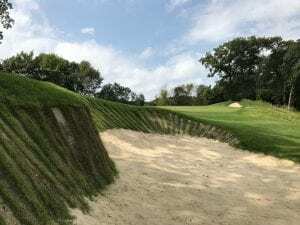 In reworking the course, thousands of elm and willow trees were removed and an eight-foot-high hill in front of the clubhouse leveled, creating the lake view Fry and many other regulars now admire. And it’s not as if the land won’t be used for housing: What Layton described as “a Central Park for golf” has space for 292 single-family homes and villas expected to be built along the perimeter. The nines at Royal are named for their co-designers: The Queen (the front, for Sorenstam) and The King (the back, for Palmer). After building courses in China, South Africa, and South Korea, it’s Sorenstam’s first American project. The course is roomy off the tee, with green contours that are bolder than spicy brown mustard and judicious use of bunkering—just 23 in all. 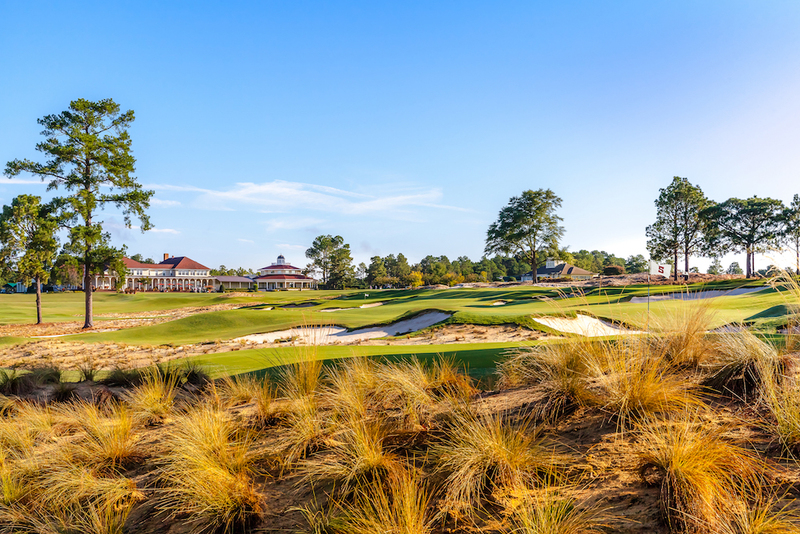 There’s a reachable par four on each side—holes 3 and 15—and the course concludes with back-to-back par fives for a chance to make a late Palmer-like charge. The course is family friendly, with multiple tee boxes and four- and-five-hole loops suitable for those pressed for time. The par-3 course is free for kids, and clubs and balls can be checked out like a library book. To play the big course, kids can pay their age. 3M employees will continue to receive special rates, as will Lake Elmo residents. As it is, the non-resident green fee is a very reasonable $59. Royal Golf Club was the last construction site Palmer visited, just six weeks prior to his passing in 2016.